HMD Global will hold an event in Russia on May 29. The description of the launch invitation has revealed that the Finnish firm will be using the platform to announce some brand-new smartphones and these could be the 2018 versions of Nokia 2, Nokia 3 and Nokia 5. Five new Nokia smartphones have been received certification from Bluetooth SIG. Among these, one of them was also spotted at European Commission Certification (ECC) website earlier today. It is speculated that the newly spotted phones may get official in the next week. Here are the Nokia models that have been certified by Bluetooth SIG: TA-1080, TA-1092, TA-1084, TA-1093 and TA-1086. None of these are flagship phones since feature Bluetooth 4.2. 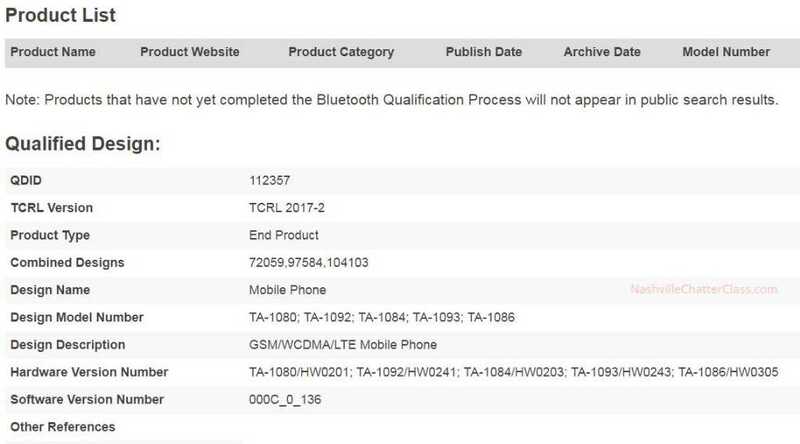 Among these, TA-1080 has also been certified by ECC along with another phone with model number TA-1095. Since these handsets have received certification ahead of the May 29 launch event, it appears that all or some of these could end up getting unveiled at the upcoming event in Russia. HMD Global CPO Juho Sarvikas had confirmed the existence of the Nokia 5 (2018) on Twitter at the beginning of this month. Also, the leaked images of the back panel of the alleged Nokia 3 (2018) as well as its user agent lookup had surfaced in the last week. Hence, it is speculated that the Finnish company may debut the 2018 editions of Nokia 5 and Nokia 3 at May 29 event. Rumors have also claimed that the Nokia 2 (2018) may also get official at the same stage. As of this writing, there is no information available on the specs of these rumored smartphones. However, it is likely that the Nokia 3 (2018) may feature a Snapdragon SoC instead of the MediaTek chipset that powered the predecessor model. Also, its leaked images have suggested that it could be joining the Android One league.